Today the University of Richmond campus features the Sigma Phi Epsilon Founders Walk (pictured below). The Founders Walk connects the Carole Weinstein International Center to Jepson Hall and the heart of the academic quadrangle. On the path sits a bronze plaque, listing the names of the 12 men who started what would become one of the nation’s largest and most accomplished fraternities. SigEp was founded on November 1, 1901, at Richmond College. Over the past two decades, SigEp has recruited more men than any other collegiate fraternity. Currently, over 15,000 undergraduates are SigEps, more than any other national fraternity. Over 320,000 lifetime members ranks SigEp among the largest national fraternities. SigEp maintains a full-time professional staff of over 50 people. The SigEp Journal has been published continuously since 1904, and is distributed to all members for life. SigEp hosts the largest biennial convention in the fraternity world: the Grand Chapter Conclave. SigEp was the first national fraternity to establish a housing trust for all chapters and create a National Housing Corporation. 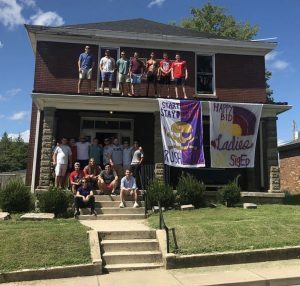 Sigma Phi Epsilon has the greatest number of fraternity houses, with over 200 chapter homes. Of those, over 115 are owned by local SigEp Alumni and Volunteer Corporations. 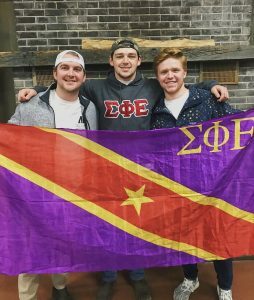 The Sigma Phi Epsilon Educational Foundation was the first fraternity foundation to build an endowment greater than $12 million.